Crypto rush, just like other frantic wealth rushes in the past, has taken the world by storm. Almost all the entrepreneurs are eager to get a slice of the pie as more and more use case scenarios are emerging for blockchain technology and cryptocurrencies. The massive growth in the cryptocurrency domain has led to the growth of ICOs. In 2017 alone, ICOs collectively raised over USD 2.2 billion (up from USD 62.6 million in 2016). Before you rush in to launch your own token, it is important to learn some basics that will help you sail your boat. Everyone talks about cryptocurrencies these days. Nearly every investor, in a bid to grab unprecedented profits, is looking at the cryptocurrency market. But how do cryptocurrencies come into being? 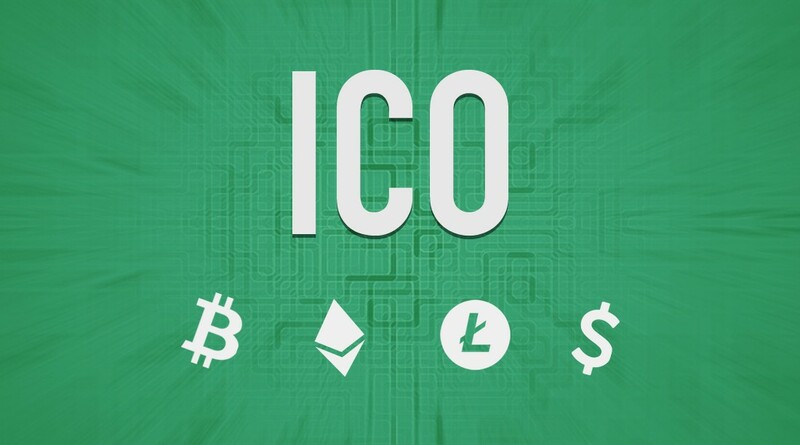 The answer lies in the phenomenon called ICO or initial coin offering. ICO is a form of fundraising technique that entrepreneurs use to raise capital for a new blockchain project or application. The ICOs that are successful in raising desired capital graduate to become new cryptocurrencies in the market. Investors fund them with a desire to get unimaginable returns. The success of Ethereum led to a rally in the landscape and it became a common form of the funding model for cryptocurrencies. Launching an ICO: What all is needed & how to get it? At this stage, you should identify a problem that can be solved effectively by the blockchain technology. Fundamentally, this requires analysis of current market and the inherent problems that can potentially be solved with the help of the solution you are proposing. Brainstorming by having a look at existing and upcoming ICOs, you will be able to identify if your solution is required to be launched. ICO is nothing more than a token crowdfunding event where investors buy tokens to fund your idea. A token is a digital asset that should have an intrinsic value or utility in the whole process of solving a problem for success in the long run. 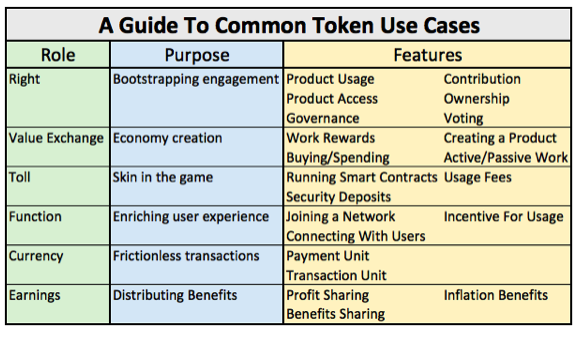 Ideally, a token should at least have a few common use case scenarios from the below table if you need your ICO to succeed. A whitepaper is a guiding light for an ICO. The document outlines the idea to the prospective supporters. Research is the key to define how you envision solving a problem. The white paper should give a reader insights into the current scenario that help him identify a problem along with a step-by-step solution. What is the problem that you can solve through blockchain? What is the logical solution? Which market will your solution focus upon? What will be your business model? How much money do you require for the success of the project? What will be the cost of each token? How can investors purchase your ICO? What is the long-term value of these tokens? Owing to a flood of ICOs in the market, investors are wary of new launches and scrutinize legality before investing. It is important to have an experienced legal aide by your side to support you. Also, not every jurisdiction is crypto-friendly. You need to take professional help to ensure you do not end up in legal troubles. Your legal team will also help you draft terms and conditions. Basically, legal experts will define who is eligible to participate, terms of distribution, fund utilization, and other aspects. Having a legal team helps avoid troubles by clearly outlining the conditions beforehand just as in case of Bitcoin Suisse AG that clearly excluded US citizens to purchase their next ICO- Orvium. A strong team to back your ICO project is rudimentary to its success. Without a credible team, your project will fail to attract serious investors and plunge in the crowded pool of failed ICOs. 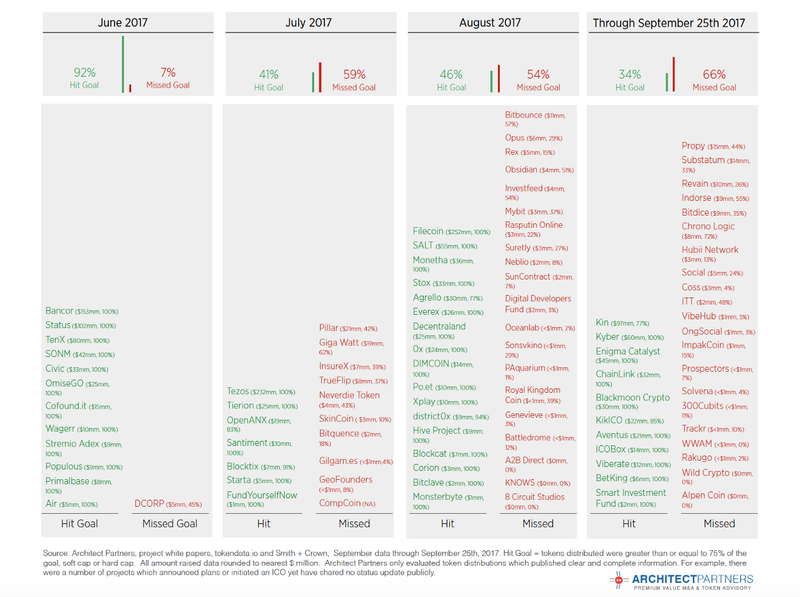 If we take an example, from July 2017 to September 2017, more than 50% missed their goal of raising the required capital. Both internal team and external advisors will help in refining your idea, expand your network and build a strong base for launch. If you manage to get hold of best people in the industry for your project, you can surely think of success in the long run. To know the best advisors and individuals in the cryptocurrency and blockchain domain, you can take help of a tool like ICO Bench People. Here you can identify best brains in the industry and contact them for advice or collaboration on your project. Launching your token once you have outlined the above things becomes smooth with the help of a sophisticated platform. 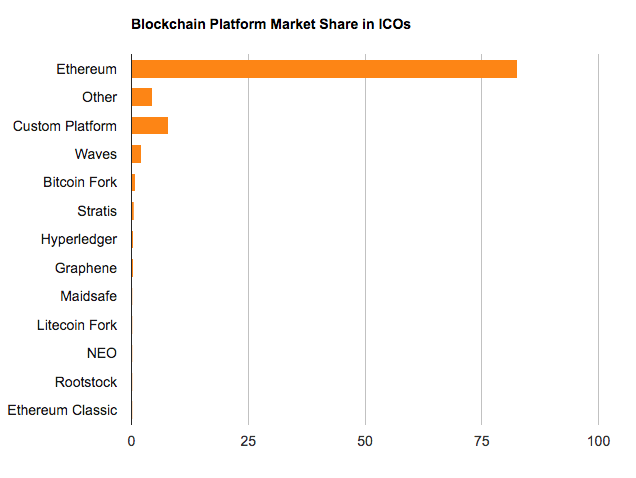 If we look at the past trends, Ethereum is the most popular platform for ICO launch. Ethereum is responsible for hosting more than 82% of the total ICOs, till date. As Ethereum platform promotes interoperability, it is one of the most preferred platforms in the modern times. Based on ERC-20 standard, Ethereum eliminates chances of risk due to poor coding, security blunders and makes it possible to launch in minimum possible time. You can also choose to launch on a custom blockchain platform. Though this requires the maximum level of technical proficiency, it also promotes greater flexibility. If you manage to gather a team of blockchain experts, you can consider a custom blockchain platform. Apart from these two major platforms, there are few others like Waves that is being used by a some ICOs. Based on your proficiency and requirement, you can choose a platform for seamless rollout. Smart contracts are the most important aspect of an ICO. The investors would contribute in the form of accepted tokens in lieu of which they would be assigned tokens. Being the most critical element of the whole process, it should be completely secure and follow standard security protocols. At this stage, you will be required to invest in hardware such as servers to handle the traffic to the website and process smart contracts. You should get the help of a professional who can create a secure architecture that is immune to hacking attempts. A website for an ICO, just like any modern website, must be attractive, engaging and responsive. This is your face for the digital world. Make sure to invest wisely and find a highly-experienced website developer and designer for a proper website. As the industry is overcrowded, you might want your website to stand out of clutter and for that, you would need professional help. A slow loading, unsecured and cluttered website will demotivate an investor to release funds in your favor. So, invest wisely to address security concerns, improve website load time and enforce DDOS protection. Make sure your website has all the essential information — whitepaper, team profile, board of advisors, token allocation details, social media links and blog for an instant impact. Once you are through with everything and are ready, you need a solid strategy for marketing. The marketing campaign should be a mix of multiple tactics to increase reach and promote discoverability among investors. 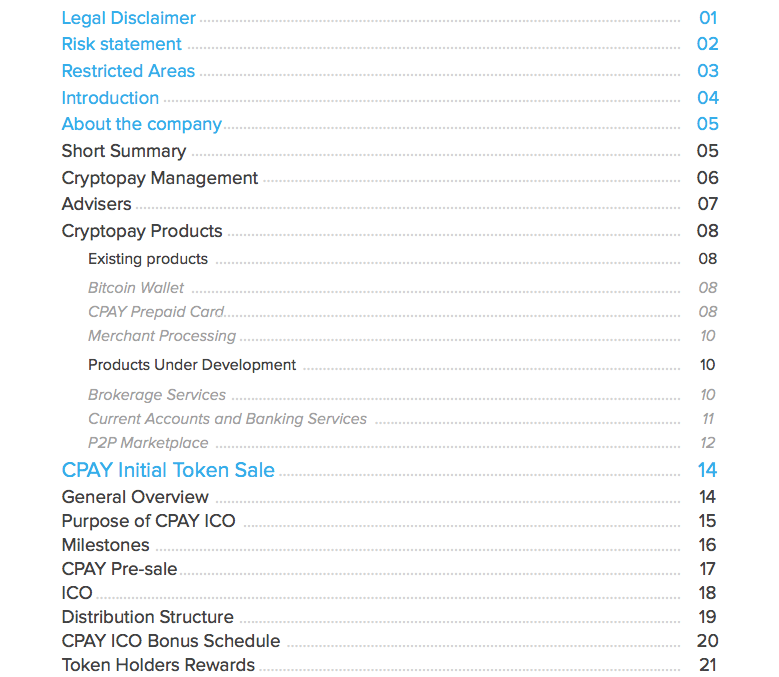 To go forward with marketing, you need to, first of all, get listed on popular ICO calendars. These websites announce the launch of new cryptocurrencies and can give you the necessary mileage without adding up to your marketing budget. Having a strong public relations strategy with a focus on paid PR will give necessary boost among interested circles. You can pitch a story about your ICO to famous crypto news websites and blogs that are visited by the crypto community in the search for an investment opportunity. According to a study about 100 successful ICOs by RAD Lending, social media outreach was instrumental to their success. Almost all of these had an enviable social following across leading social media platforms such as Twitter, Facebook, and Telegram. Founders have been using the above platforms to interact with the community, host chat boards or forums where enthusiasts can get their queries resolved, interact with the founders or technical team to get a detailed idea. Though Facebook, Google and Twitter have banned ICO-related advertising on their platforms, there are some popular crypto-specific platforms for PPC advertising. CoinAd is an ICO-centric platform that enables founders to get high-quality traffic through banner advertisements. Before dumping your PPC and paid advertising strategy, use such platforms to bring your project in the eyes of interested investors. Marketing is essential to generate a hype around your ICO that will make investors interested in what you have to offer. To make your launch day successful, every piece of your marketing strategy must align with each other and shoot the right message at the right time. If you understand the functioning of the industry and are interested in launching your own cryptocurrency, you need a reliable partner for success. The importance of a professional crypto expert cannot be emphasized more after enlisting the steps above. 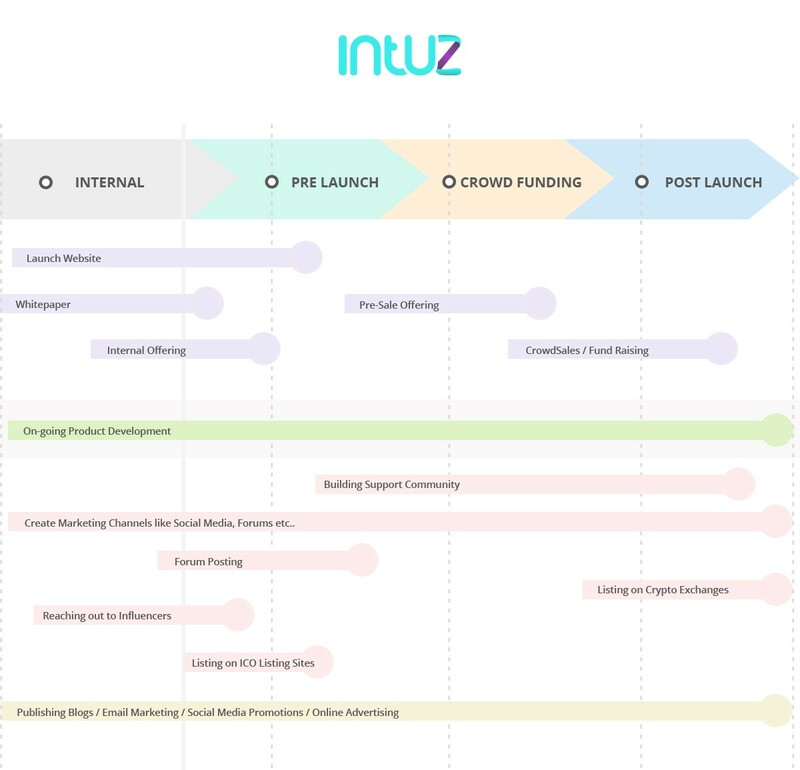 If you want a holistic support group that can take care of all the above steps through technical proficiency, hands-on experience, and grasp of the crypto domain, you should definitely consult the crypto experts at Intuz. Our team has helped a number of entrepreneurs in raising capital through successful ICOs. By utilizing the best of strategies, platforms, technologies and security protocols, we build a strong ICO platform that paves way for a success in a stipulated time frame. So, what are you waiting for? Contact our experts with your groundbreaking blockchain idea and start working on your launch now. Also, I’ve recently published one article on How to Build a Cryptocurrency Exchange App. So, If you’re interested into that please do check it out. Stay tuned with us on Twitter, Facebook, and LinkedIn for other interesting news from us!